Recently, I’ve been experimenting with the new Pan Pastels made by a US company. They come in flat cakes, and are applied with sponges. The finely ground pigment creates vivid colours and soft, subtle nuances of tone. Blending is easy with the various shaped sponges and Sofft ™ tools which come in a range of different shapes and sizes. You can combine the Pan Pastels with pastel pencils for the fine detail and the use of colour shapers, especially the flat chisels allows you to sharpen endges. If you like painting pastels onto sandpaper, as I do, you will find that the use of the sponges for applying and blending the colours avoids the problem of damaging your fingers of the abrasive surface of the sandpaper. You also use a lot less pastel and there very little dust. I am delighted with the way this new form of pastel paint forces me to use new techniques and develop my style in a new and exciting direction. 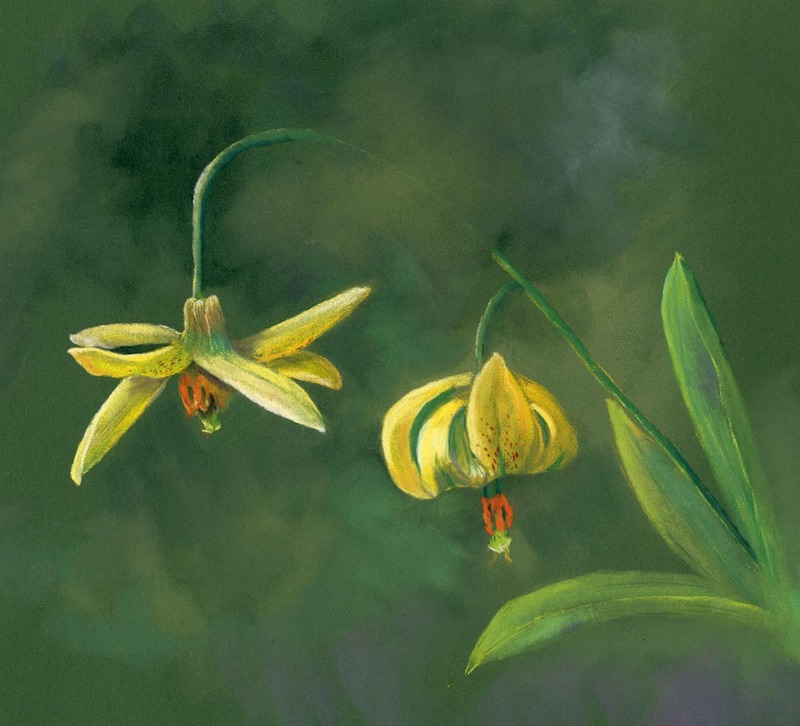 This entry was posted in Jenny Keal Blog, jenny keal pastel., pan pastel, pastel, pastel painting by Jenny Keal. Bookmark the permalink. Beautiful work. I use Pan Pastels to enhance my 3-D paper flowers, but I’m in awe with yours. Thank you Susan I like your work too. I had a look at your blog and your cakes look mouthwatering. Pity I am on a diet. Love all your work Jenny, and your book;I have some pan pastels but not really got into them yet! !just not enough time! Beautiful! I have been using PanPastels to hand color my black and white photographs, but I get so inspired when I see what other artists are creating. Very beautiful work, these flowers are awesome and I love the colors!! !